And so, the tradition continues: For decades, St. Olaf College’s (located in Minnesota, USA) choral program is one of the most sought after, acclaimed, and diverse collegiate choral music programs in the country. The School boasts eight highly proficient ensembles, an impressive faculty roster, and has a national and international appeal, heightened by their full concert schedule and the frequent outreach by their conducting faculty (i.e. workshops, master classes, seminars, conferences, etc…). While the St. Olaf Choir is, no doubt, the crown jewel of the School’s tradition, the other seven choral ensembles (not to mention a host of other instrumental ensembles) are worthy of recognition, particularly because they provide the framework through which these college singers grow as choral artists. The Manitou Singers is a select women’s ensemble in their first year of collegiate study (the male ensemble, larger in size, is known as the Viking Chorus). They are one of the most popular music organizations on campus. Despite a complete personnel turnover each year, the 100-voice, primarily resident choir, sings at the college’s opening worship service as well as at various campus functions throughout the year. With a repertoire that ranges from sacred to secular to popular ballads, the Manitou Singers have broad appeal both on and off campus. 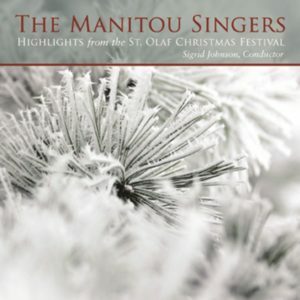 This particular CD is a compellation of musical highlights from the St. Olaf Christmas festival, performed live by the Manitou Singers between 1998 and 2009. 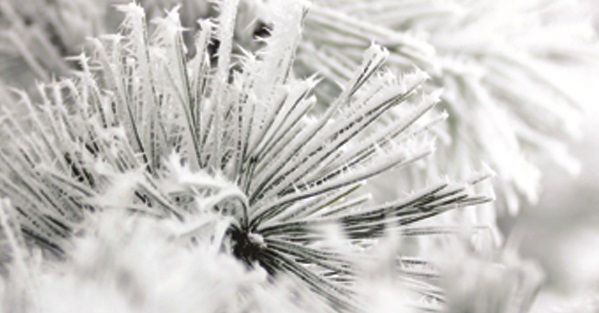 The St. Olaf Christmas Festival is one of the oldest musical celebrations of Christmas in the United States. Started in 1912 by F. Melius Christiansen, founder of the St. Olaf College Music Department, the festival features more than 500 student musicians who are members of five choirs and the St. Olaf Orchestra. The festival, which is regularly broadcast nationwide on public television and radio, is listed as one of five significant global holiday events in the New York Times International Datebook, and has been featured in hundreds of other publications, including TV Guide, Wall Street Journal, and the Los Angeles Times. This CD is filled with great Christmas classics. It opens with Norman Dello Joio’s, A Christmas Carol, and closes with Benjamin Britten’s popular Procession and Balulalow from Ceremony of Carols. The CD also features Paul Lohman’s, What Child is This, Corin T. Overland’s arrangement of Sussex Carol, Paul Carey’s jazzy arrangement of I Saw Three Ships, Rene Clausen’s setting of Psalm 100, and three different settings of the popular Gloria text. Much of the repertoire listed is frequently sung by choirs – at all levels – across the country; this disc is a great teaching tool with which any music educator could greatly benefit. Relative to first-year college students across the country, the Manitou Singers’ musicality far surpasses that of what you might otherwise expect. Sigrid Johnson is currently St. Olaf’s Artist in Residence (Voice) and conductor of the Manitou Singers. Johnson received a B.M. in vocal performance from St. Cloud State University and an M.M. in voice performance from the University of Michigan. Before her appointment at St. Olaf, she was on the music faculties of Gustavus Adolphus College in St. Peter and at the University of Minnesota in Minneapolis. Ms. Johnson is also the Associate Conductor of the Ensemble Singers and Chorus for Philip Brunelle’s VocalEssence, formerly known as the Plymouth Music Series of Minnesota. Ms. Johnson maintains an active schedule as a guest conductor and clinician at choral festivals and all-state music festivals across the country and has conducted choral workshops in Australia. 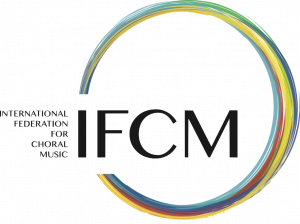 She is a member of the American Choral Director’s Association (ACDA), Music Educator’s National Conference (MENC), the International Federation for Choral Music and Chorus America. In January through March 1999, Ms. Johnson conducted the National Lutheran Choir of Minneapolis. Ms. Johnson has served as Conductor of the Dale Warland Symphonic Chorus and the Associate Conductor of the Dale Warland Singers. She has prepared symphonic choruses for Neemi Jarvi, Sir Neville Mariner, David Zinman, Stanislaw Skrowaczewsky, Gerard Swartz, Edo de Waart, and Leonard Slatkin among others. In August 2002, she was one of the featured lecturers for the Sixth World Symposium on Choral Music. In October 2004, Mrs. Johnson was a featured lecturer and clinician at the Australian National Choral Directors National Conference in Adelaide. In 2006 she was a member of the esteemed jury for the Bela Bartok International Choral Competition in Debrecen, Hungary and in 2008 she will be a lecturer on choral sound for the Eighth World Symposium on Choral Music in Copenhagen.